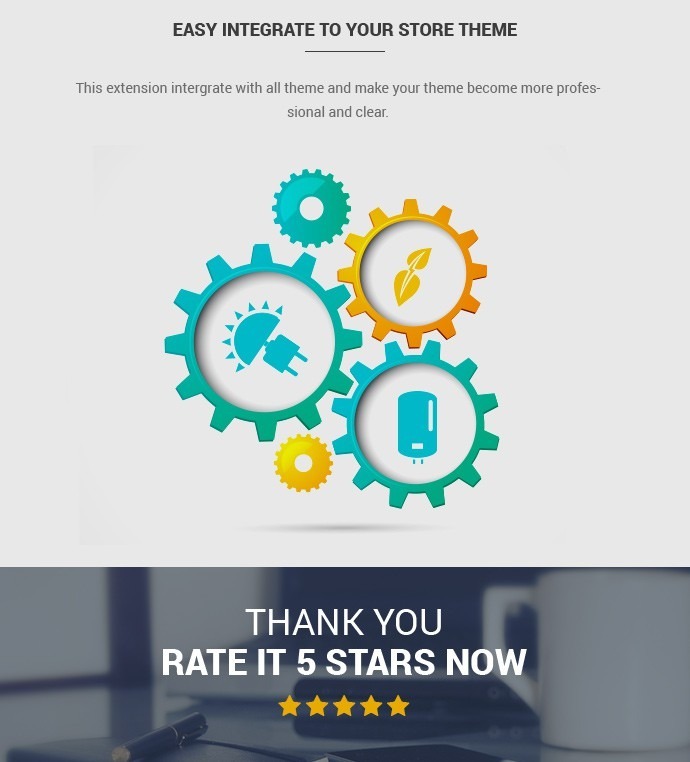 It is great if your site gets a beautiful theme but it is not enough for customer experience. User-friendly is also the important factor. Ajax Search Autocomplete and Suggest Extension for Magento 2 is one of the indispensable things that help the customer find what they need in the shortest way. 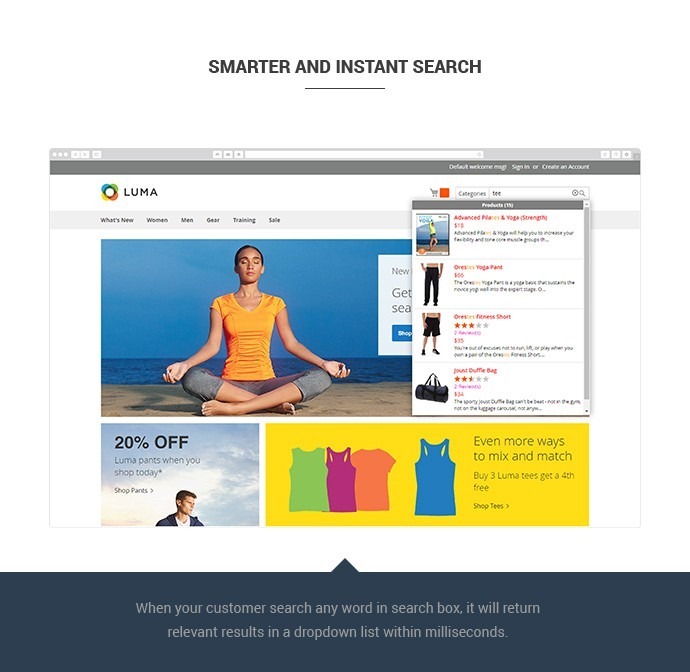 Although shop owner gets a powerful mega menu, butlooking for the suitable product will be quite difficult for customers if there are a huge number of the item on a site.This extension brings Search function with auto complete and suggests, therefore this is the best tool to find a product. With calling out suggested items, the system constantly shows results quickly with product’s information on the drop-down list. Your website is more friendly and convenient to make customers comfortable when purchasing products online. 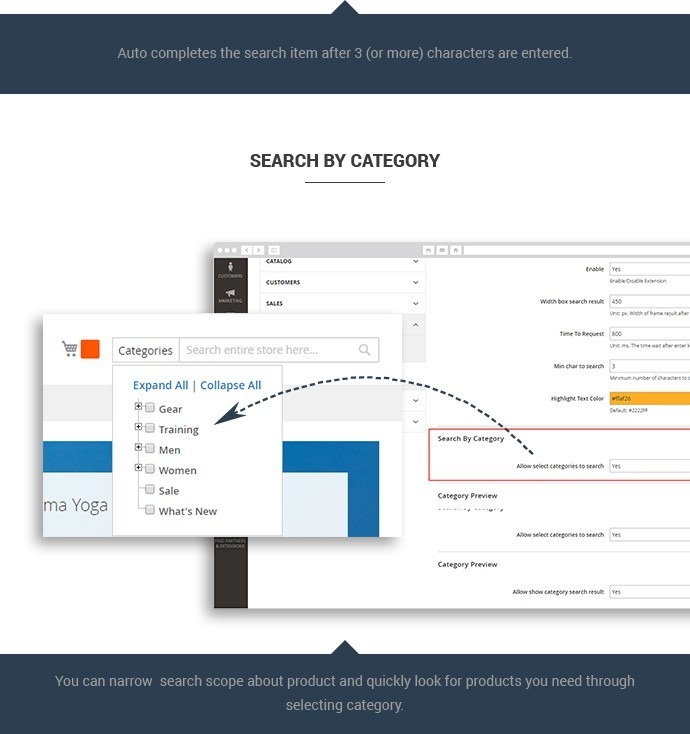 Ajax Search Extension for Magento 2 provides a smart search extension for your website with Autocomplete and Suggestion. 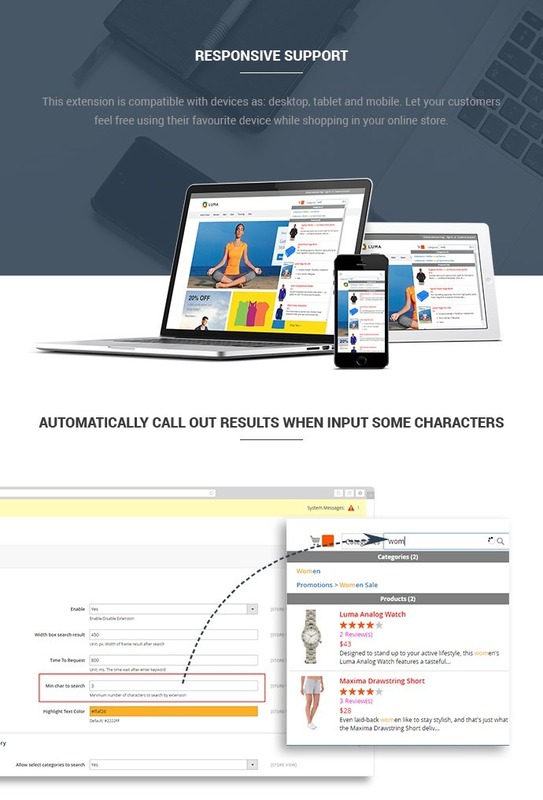 Just few seconds, customers will have wish results with calling out suggest words. The buyers will not meet any trouble to look for what they want. 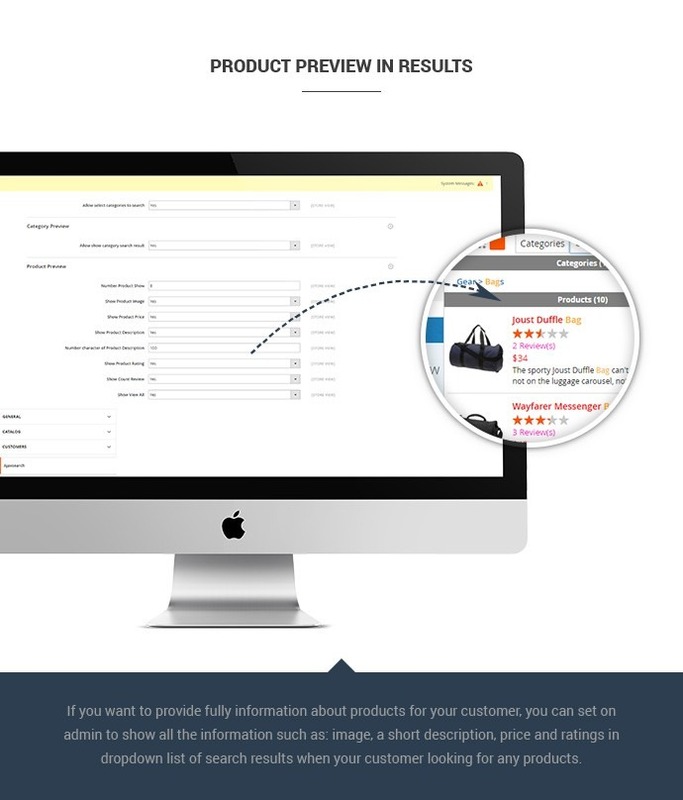 Results will be show on drop-down list with image, information of product which help the customer choose suitable items. Furthermore, customer can search keyword by category field that help them narrow range search. 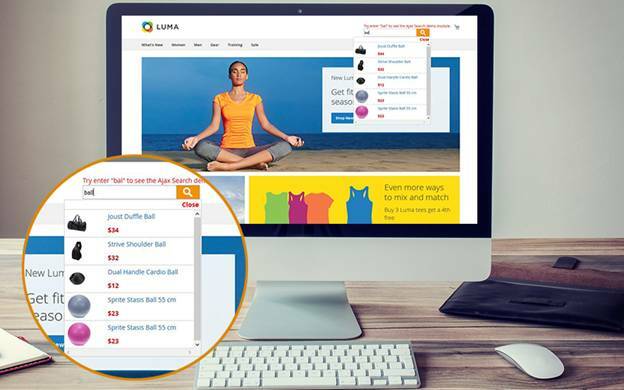 This extension not only makes buyers comfortable when searching product, but also brings easy installation for admin with simple set up steps. When your website is integrated Ajax Search Autocomplete and Suggest Extension for Magento 2, your customers easily recognize search boxes in the top in site. When the customers enter keyword into search box, it will suggest and shows products automatically with pop-up window. 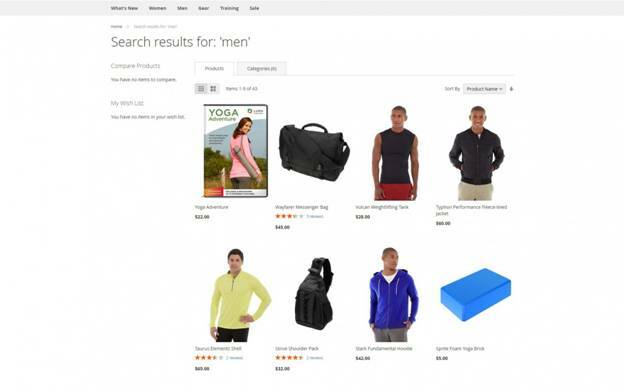 A list appears with information, images of product and even categories of product while someone is typing in search box. Furthermore, customers don’t need to remember exactly product name, they only need to enter words which appear in their mind. The buyers can select category of the product to narrow searching arrange, it helps them see suitable product quickly. 1. Install this extension as user guide. 2. Configure extension: In admin panel, click on AJAX SEARCH or go to STORES -> Configuration -> click on CMSMART -> select Ajaxsearch. You can set some element in dropdown list of search result here.Remember to save configuration after each change. 3. Go to front-end to view changes. Setting number:With 4 types menu “product grid”, “static category listing”, “dynamic product listingby category” and “product listing”, you cannot set number of column to display in dropdown menu but you can set it with the rest. Custom block:You can display custom block in menu content type such as: default category listing, static category listing, product listing and content. Specially, you can create custom block right in menu content type setting area. Add to cart button in dropdown menu: With “default category listing” type, you can see some products and add this product to cart by “add to cart” button. Category labels:Easy for you to create a label of each category. Easily to search what you want to search in the page. With this automatically call out result whatever you input in the field. Nice extension. 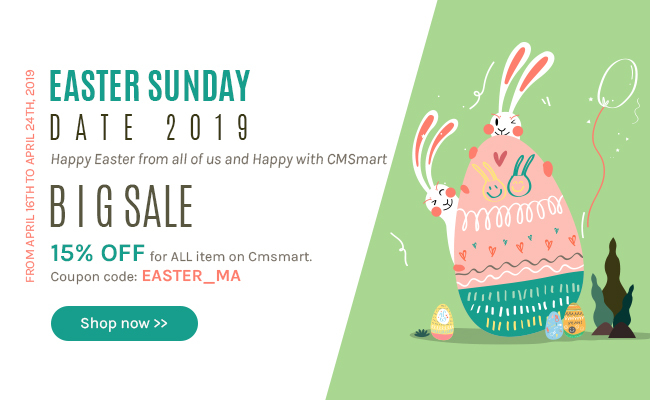 Thank for the CMSmart developer, specially victor.. you really help me man! Thumbs up! Can I customize size or style of search bar? Yes, of course. You can edit in the admin with text “width box search result”. If I want to reduce the number in search box, Can I do that? Yes, of course. Please change in the “min char to search” and then put the number which you want? Can I show all the attributes as the number of products, show image, price, rating or description…? Yes, sure. You can enable or disable all information in the back-end. I want to search by category, how can I enable this functions? You just enable that one in the “Allow select categories to search”. 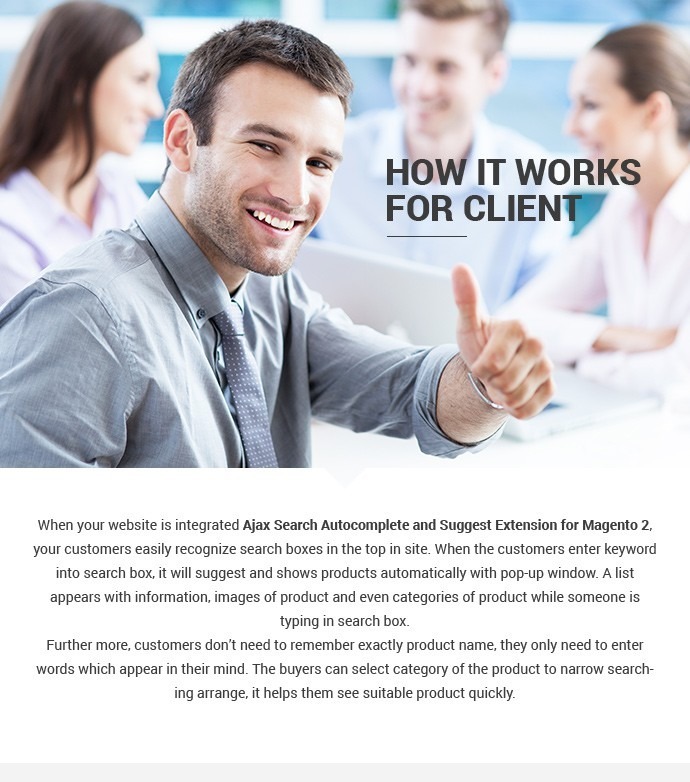 As in most of default or original versions of Magento platform, we usually know Instant Search or Quick Search tool that are considered as on-site search result software. 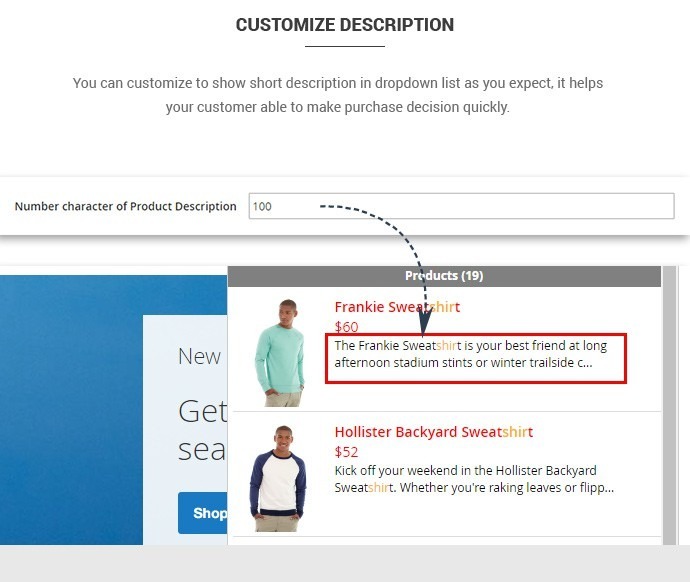 Through theme, customers can look for their products while save much time by name, tag or short description. 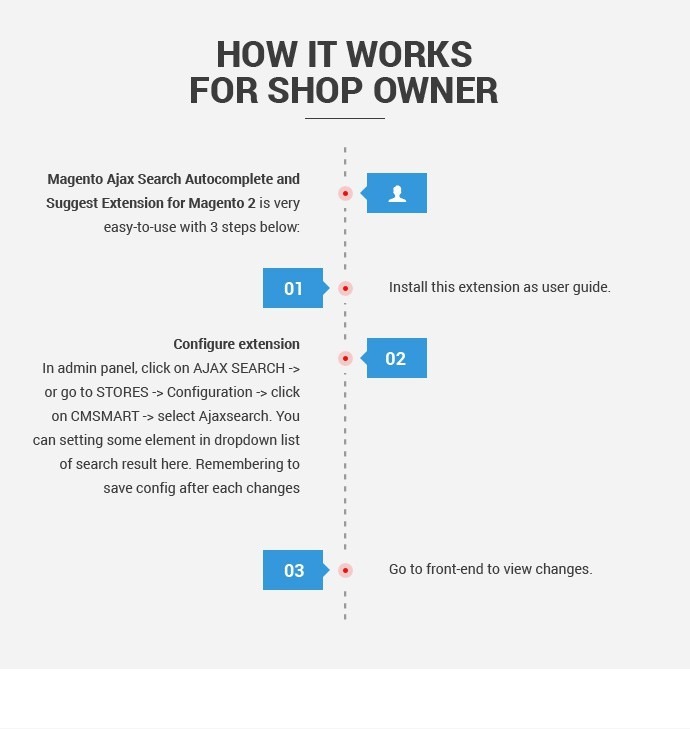 However, today, we want to introduce an awesome site search extension named Magento 2 Ajax Search through 2 products Advance Ajax Search for Magento 2 and Ajax Search Suggest and Auto Complete for Magento 2. They are very popular and the most wanted on the Magento market now. Obviously, we can use default tools of Magento platform, but sometime, your small investment will change everything amazingly, out of your think. 2 items we want to tell you today are stark examples. Better interactivity: Almost developers and webmasters want to switch to AJAX for their websites for this pretty benefit. AJAX allows easier and quicker interaction between users and website as pages are not reloaded for content to be displayed. Easy to Navigate: It is because applications of Ajax technique is able to be built to have customers easily navigate. And it is not necessary to use the traditional back or forward button in the default theme on a browser and wait for loading page. Compact: One more interesting feature when it comes to Ajax technology is that several multiple purposes apps or features are possible to be used in a single web page. Thus, you can avoid the need for clutter with several websites. Boosting Magento SEO: Google Maps prefer using Ajax much. It can be said it is the most impressive and powerful scripts for this tool. A stark example vBulletin forum software with the latest AJAX version, bringing your Magento SEO up to a new level, as the result. It is undeniable that adding a powerful site-search tool to your website is an intelligent way to conquer customers at the first moment. When they are comfortable with the search for products on your site, they are willing to do the next step, doing online shopping. 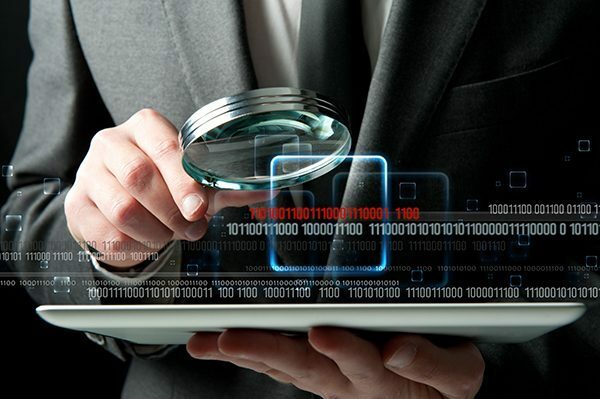 Ajax search tool is easy-to-navigation software, improving your user-experience feature. Thus, why we do not consider two Magento 2 site search extensions below? This indispensable tool is created to make your customer-experience better by allowing them to find out what they want in the shortest way. 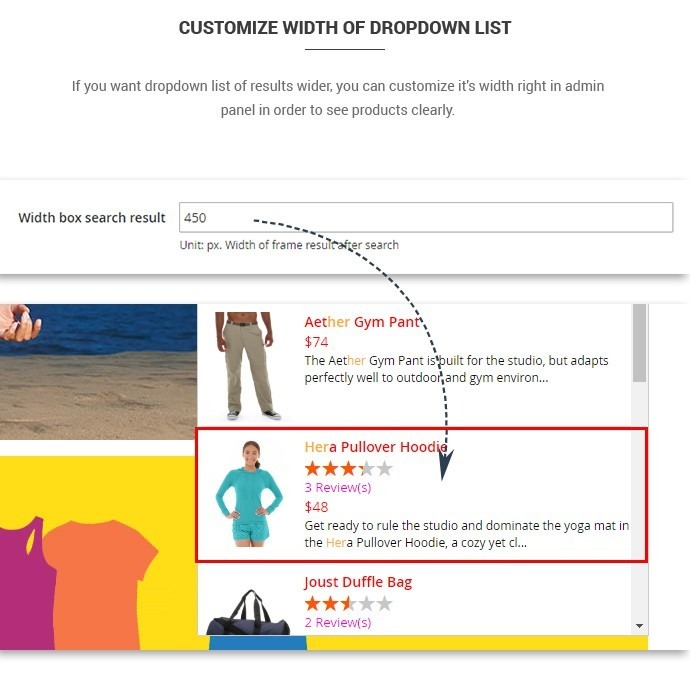 After writing down some words in the search tab, customers will immediately receive the results of product’s information on the drop-down list. 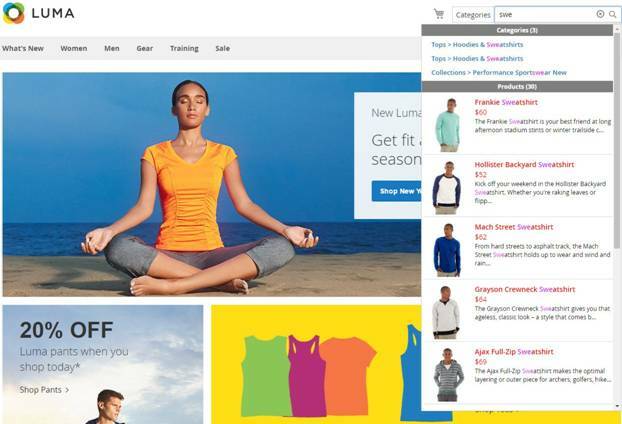 Your web-store becomes more user-friendly and convenient for audiences to enjoy shopping moments. 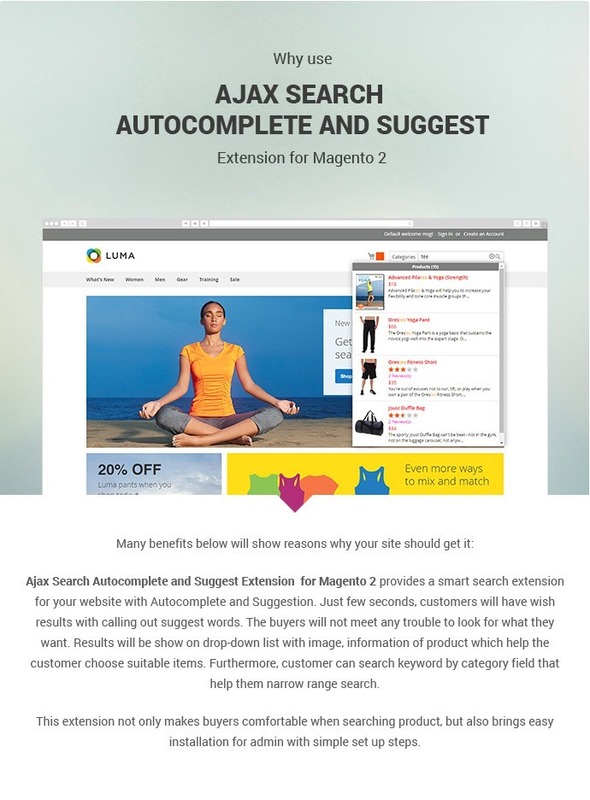 Ajax Search Extension for Magento 2 provides a smart search way for your website with Auto complete and Suggestion. 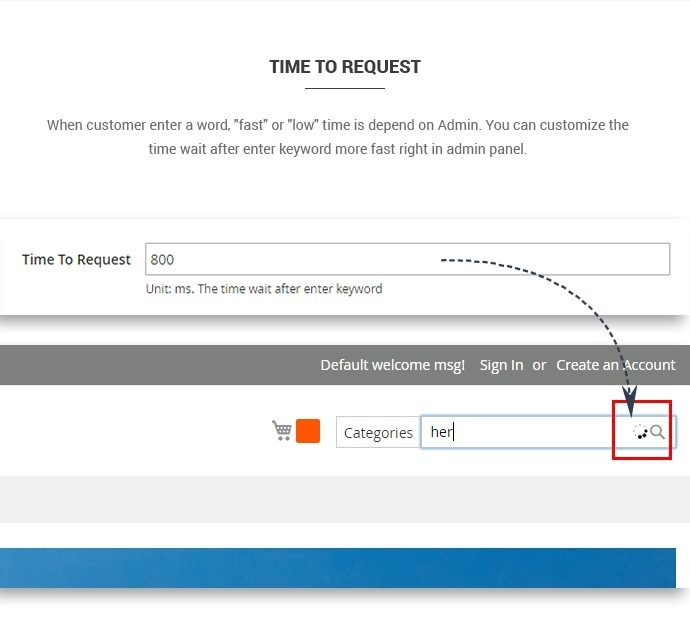 Within a few seconds, customers will have the results with calling out suggest words. 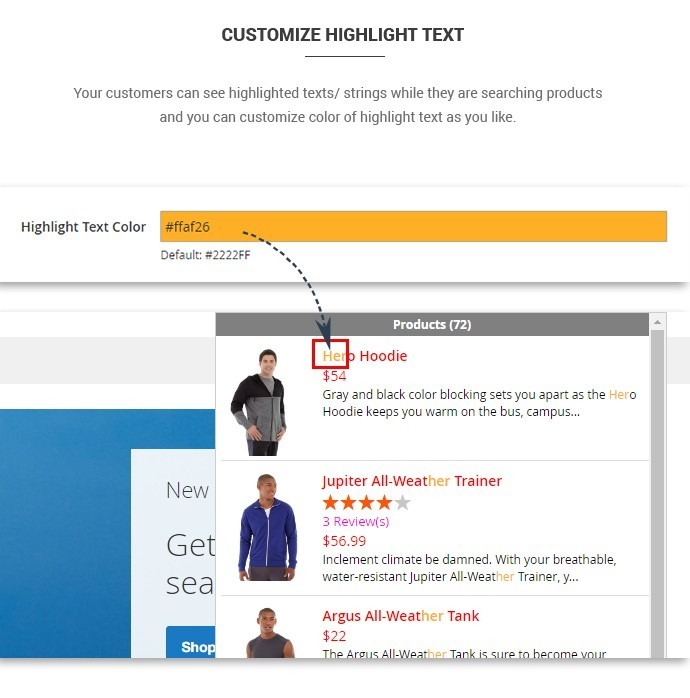 And certainly, the automatically call-out results are available after customers add 3 characters. The buyers will not meet any trouble to look for what they want. Results will be shown in the drop-down list with the image, information of product which help the customer choose suitable items. 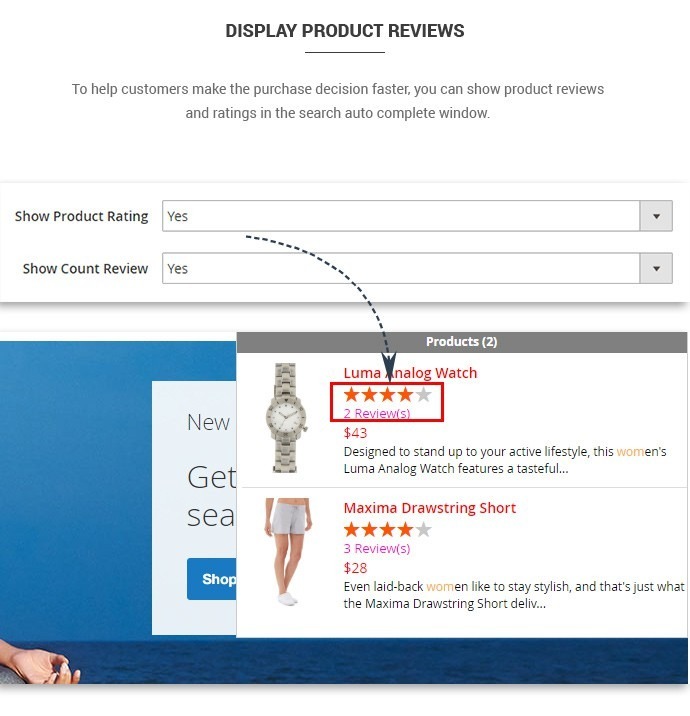 Also, product review or rating is will be shown for customers to consider. Furthermore, the customers can search keyword by category field that helps them narrow range search. 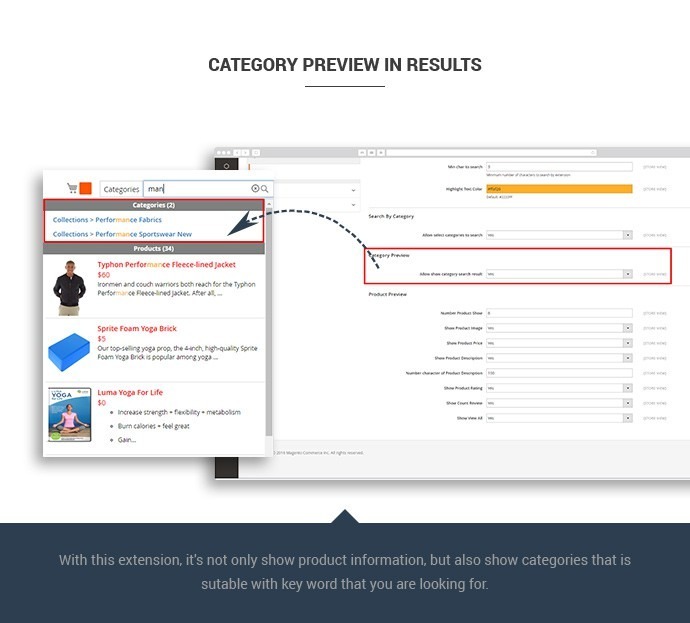 Search by Category and Category preview are outstanding features added to this module. Customers are able to have a quick look of product through selecting category and more details through Category pages. Absolutely, Responsive support: This extension is compatible with devices as the desktop, tablet, and mobile. Let your customers feel free using their favorite device while shopping in your online store. Easy to install, configure and process administrative task in the back-end, being the first standard of CMSmart’s solution.